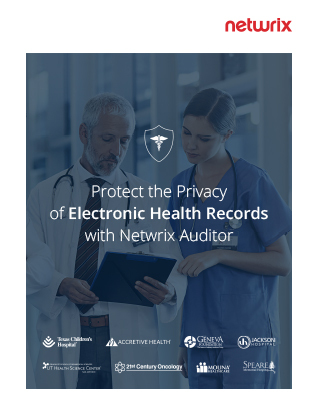 With healthcare the most highly regulated industry in the world, protecting personally identifiable information has become the top priority for healthcare organizations. However, the recent spike in breaches across the healthcare sector demonstrates that stronger measures are sorely needed to ensure the integrity and confidentiality of electronic health records. How can your healthcare organization become more resilient to modern cyber threats? How can you detect vulnerabilities in your security posture and spot attacks early? How can you ensure individual accountability and help prevent policy violations? How can you more effectively prepare for and pass compliance audits?